Today we will look at the church in Philadelphia, one of the seven churches to which Jesus sent messages through the apostle John. Philadelphia is known as “Alashehir (city of god, exalted city). It was believed to be founded by Attalus Philadephus, so called because of his love and loyalty to his older sibling. This city was very syncretistic, from Anatolian and Hellenistic practices. Its patron deity was Dionysus, god of wine. This city was almost destroyed in 17AD by an earthquake that devastated Sardis and nearby cities. The population of the city was small due to the constant earthquakes; this caused people to move outside the city. Philadelphia became a missionary center for spreading the Greek language and customs into eastern parts of Lydia and Phrygia. Some believe disciples of Paul planted this church there. The key of David: Isaiah 22:20-23 | 20. “In that day I will summon my servant, Eliakim son of Hilkiah. 21. I will clothe him with your robe and fasten your sash around him and hand your authority over to him. He will be a father to those who live in Jerusalem and to the people of Judah. 22. I will place on his shoulder the key to the house of David; what he opens no one can shut, and what he shuts no one can open. 23. I will drive him like a peg into a firm place; he will become a seata of honor for the house of his father. Eliakim carried a heavy key on a loop slung on his shoulders, indicating his power to grant or deny others an audience with the king. He alone provided access to the presence of the king. Jesus is the one who grants or denies access to the presence of God. He holds the authority. Acknowledgment: Jesus knows what goes on in the church: “I know your deeds, see, I have placed before you an open door that no one can shut.” There is an open door of opportunity for this church in this city. When God opens a door for you, no one will be able to close it and when he closes the door for you stop trying to push it open because you won’t. Those of the synagogue of Satan will fall down before this church acknowledging their error and recognizing that Jesus has truly loved this church. These people from the church of Satan (2:9) are Jews who claimed to be God’s people, but since they have rejected His messiah and persecuted his people, they are liars. Jesus said they are not true Jews, but sons of the Devil. They belong to the synagogue of Satan for rejecting Jesus. Jesus reward faithfulness and perseverance (v.10) He promised protection from the hour of trial that is coming upon the whole earth. This is a reference to the tribulation since it will come upon the whole earth. To test those who live on the earth. Sometimes, God’s protection from this awful ordeal means death for his people. Anyone who died or dies now is already protected from the distress that will come to this world. Jesus is coming! (v.11) I am coming soon, hold on to what you have, so that no one will take your crown. The word soon in the Greek implies something suddenly, unexpectedly, something imminent; you can count on it. The church is called to hold fast or be strong in perseverance, love, faith, sound teaching until Jesus comes. What is the Spirit saying to the churches? What does Jesus expect of his church today? 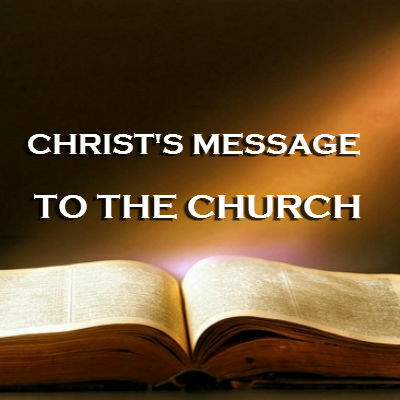 –Jesus expects a church that remains faithful to him until the end. -Jesus is the one who opens doors of opportunity or closes those doors. The church must learn to walk through the open doors God opens and learn to stop trying to force open a door God has shut. Jesus expects a church that hold fast to sound teaching, love, faith, service, patience. A church that endures persecution for his name’s sake. –Christ expects a church of overcomers.